As a former attorney and trust officer, I understand the complex world of wealth planning and utilize a customized approach to help my clients achieve their long term goals. 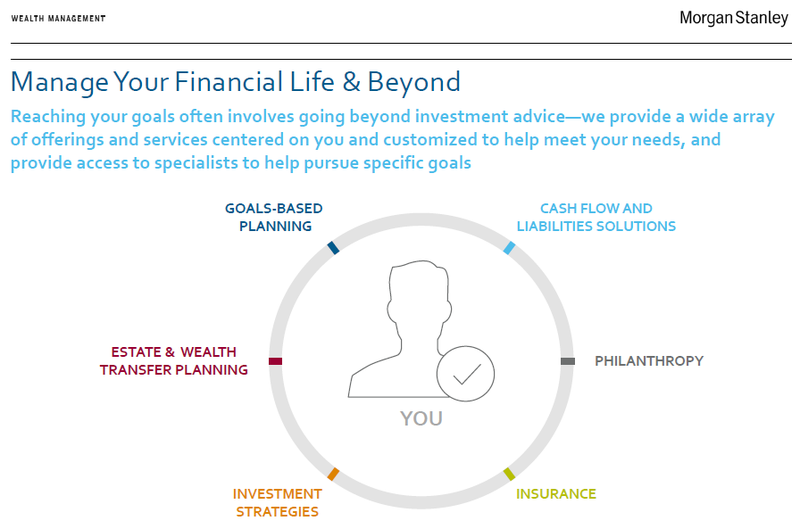 Helping clients set and achieve their long term goals is more than just providing investment advice; it’s a lifelong process that involves developing a unique and comprehensive plan capable of evolving as their lives progress and change. It involves planning for both the expected and unexpected. I believe that a relationship with an advisor should be a positive one that is built on communication and trust. 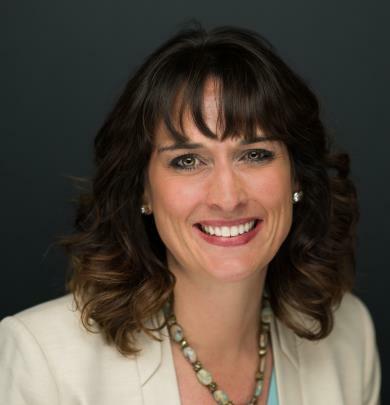 A former attorney and trust officer, I became an advisor at Morgan Stanley because I am passionate about helping both individuals and organizations navigate the often complex world of wealth planning. My experience coupled with the vast resources available through Morgan Stanley set my practice apart. My focus is on getting to know you and your story so that together we can develop custom strategies for a variety of needs including philanthropic and estate planning, insurance, asset diversification and risk protection and by working closely with your attorney and other trusted advisors we create a cohesive plan that helps meet both your short and long term goals. As a result, you can have confidence that you are on the path to financial independence, giving you time to focus on the things that are most important to you. My relationship based approach to financial planning allows me to provide life long holistic wealth strategies to my clients. I believe that each client is unique and deserves a customized goals based plan; A plan that changes and evolves as their goals change and evolve. This approach gives my clients the confidence to know that even during times of uncertainty, we are working together to preserve their future. While I work with a variety of clients including complex trusts, organizations, non-profits and successful business owners, I'm passionate about working with women. As women we face unique challenges planning for retirement and beyond. Women are a powerful driving force in our economy, yet many aren't confident about their financial future. I focus on helping women to gain the confidence to take control of their financial future! By building a plan that is driven by your goals, we can strive to achieve a successful financial future. The steps below outline the process you can expect when working with me. Step #1: Get to know you and your story. In our initial meeting, the focus is on getting to know you and helping me understand you; where you’ve come from and where you want to go. Through these conversations, we will develop specific short and long term goals. Step #2: Analysis. We will evaluate and analyze your existing investments to arrive at an overall picture of your present financial status. Step #3: Develop and Recommend a Plan. Once we’ve analyzed your present financial status we evaluate how that ties into your short and long term goals and develop a strategy for obtaining those goals. We then discuss my recommendations. Step #4: Implement the plan. We put the plan into place. Step #5: Monitor the Plan. At a minimum we meet yearly to review your plan, if you are still on target to achieve your goals, and discuss any changes in your goals and circumstances. A plan is a living document that is meant to change and evolve as your life and circumstances change. A native of Denver Colorado, I grew up an avid sports and recreation enthusiast. I have Bachelor’s Degrees in Business Administration and Sports Administration from the University of Nebraska-Kearney, as well as, a Juris Doctorate from the University of Wyoming College of Law. I’m licensed to practice law the State of Wyoming and the United States District Court for the District of Wyoming (currently non-practicing). I believe in giving back to the communities we live in and therefore am an avid volunteer. I sit on the board of directors for the University of Wyoming Cowboy Joe Club and the Sheridan County Chamber of Commerce. I’m also actively involved with Sheridan Rotary, the University of Wyoming Alumni Association, the Sheridan County Bar Association, STEP Wyoming and Academics for All. When I’m not working or volunteering in my community, I enjoy running, golfing and spending time with my husband James and our three (3) dogs; Barkley, Harley and Cutler.